Dubbed by many as the ultimate tool to establish good rapport with customers, there’s more to love with ESP or Email Service Provider than sending successful emails. This instrument is so powerful it can increase your website traffic, contribute with online visibility, double your revenue, establish backlinks and many more without the need to spent a huge fortune on marketing promotions. Indeed, it has become the go-to tool of modern day email marketing. Whether you have an online business or physical shop, ESP makes sending email blast both effective and easy. Aside from the fact that it guarantees perfect inbox delivery all the time, having an Email Service Provider is equally helpful for those still starting out in the industry. However, be mindful that not all Email Service Providers are created the same – there are reliable and unreliable companies. 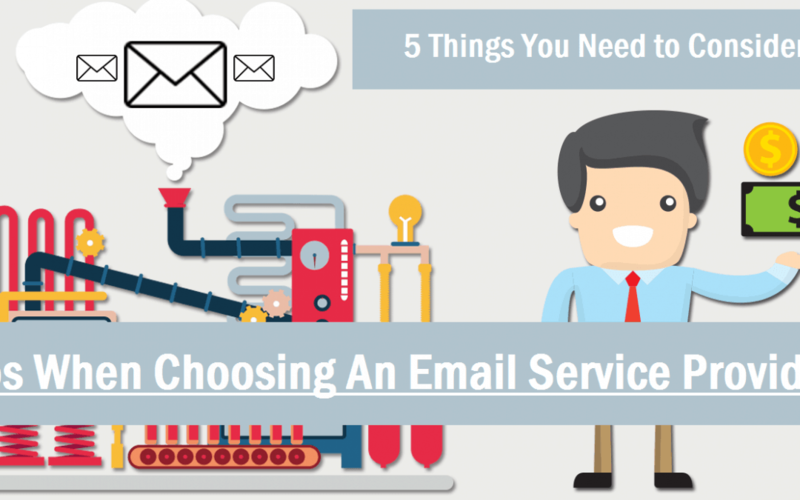 With tons of Email Service Providers available out there, choosing the right one is really challenging. From reviewing their features to pricing options, check out these tips below on how to spot the perfect Email Service Provider. Even if you have the most comprehensive email list, if messages don’t land in the inbox, everything will be useless. Ask your Email Service Provider their average delivery rate, delivery rate is the number of emails successfully delivered right at your customers’ inbox. A high delivery rate of 95% and up is always favored. You should equally ask about bouncing emails and what are the measures they take to manage undelivered messages. Another thing you need to look at when choosing an Email Service Provider is the security of the program or software. Your messages, email database, contents and system should be kept private and protected. A great ESP should provide ample encryptions and authentication systems to control physical access. Additionally, they should always practice “IP Hygiene” as it keeps your email away from spam folder. And if you trying to send mass emails, make sure that your provider’s IP is not blacklisted or else your email will be tagged as a threat. Monthly rate which is a monthly-based subscription plan. Pay as you go which is a no commitment plan that you only pay for the services you use. When it comes to choosing the best Email Service Provider, careful decision making is always needed. Choose a company with long standing history of success and established relationship with internet giants like Yahoo, Google and Microsoft. Finally, avoid fly-by-night companies with shady reputation offering too-good-to-be-true packages.